JAMNCATS Persian & Exotic CFA Kittens – JAMNCATS Persian & Exotic CFA kittens, healthy & adorable personalities! JazMaTaz Persians & Exotics – CFA Registered Persians and Exotic Shorthairs in a variety of colors. KaDoKits Exotics – Silver Tabby & Smoke Bi-color Exotic & Persian/ELH kittens & retired adults. PKD/FIV/FeLV neg lines. Luvely Persians – We are a small, CFA registered cattery breeding show quality tabby and smoke persians. Mr. Whiskers Cattery – Small, CFA cattery that specializes in tabby & white, white, & bi-color kittens. Health guarantee. 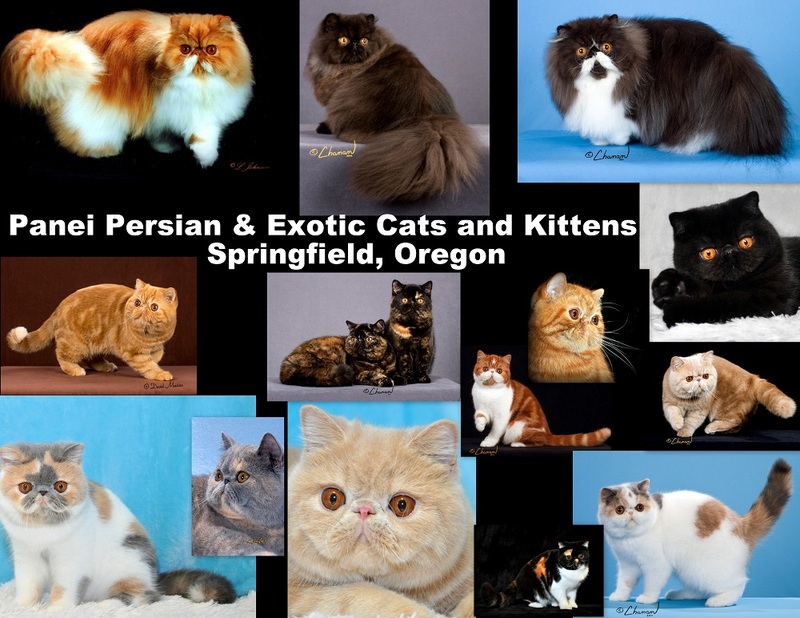 Persian Cuties Cattery – We are a small cattery located southeast of Portland. We breed for health and personality first. Persian Kittens Delight Devotion Cattery – Persian Kittens, CFA Registed Cattery, Sweet & Loving personalities.